Grandpa is a male grandparent. Here is another extension usage. A grandfather clause (or grandfather policy) is a provision in which an old rule continues to apply to some existing situations while a new rule will apply to all future cases. 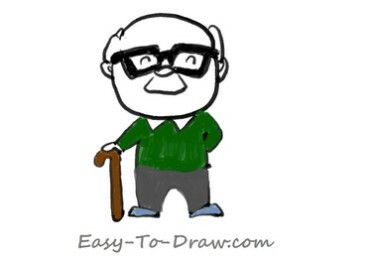 Those exempt from the new rule are said to have grandfather rights or acquired rights. Frequently, the exemption is limited; it may extend for a set time, or it may be lost under certain circumstances. For example, a “grandfathered power plant” might be exempt from new, more restrictive pollution laws, but the exception may be revoked and the new rules would apply if the plant were expanded. Often, such a provision is used as a compromise or out of practicality, to affect new rules without upsetting a well-established logistical or political situation. This extends the idea of a rule not being retroactively applied. 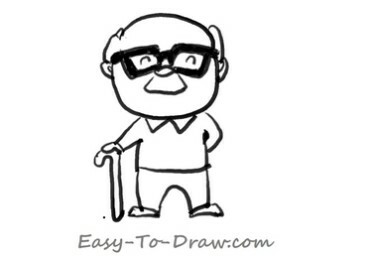 Here are the steps to draw Cartoon Grandpa. Enjoy! 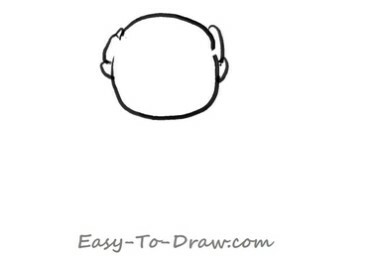 Step 1: Draw a circle as grandpa’s head. 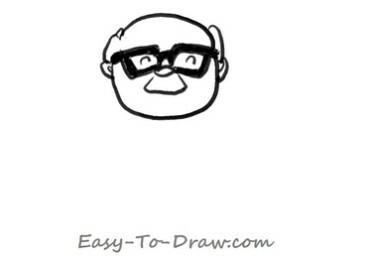 Step 2: Draw 2 ears and a pair of glasses on the nose. 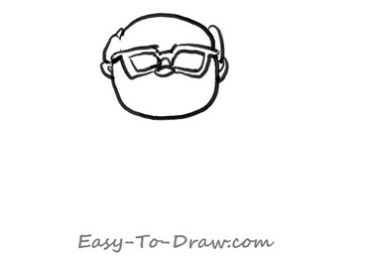 Step 3: Draw two smiley eyes and a tuft of beard. Color the optical frames black. Step 4: Draw the body of the grandpa and with a cane in his right hand. 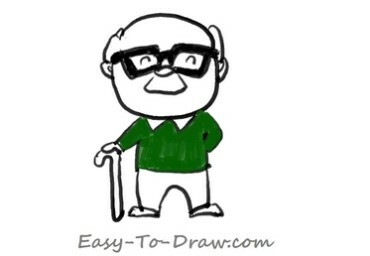 Step 5: Color grandpa’s shirt dark green. Step 6: Color the pants grey and shoes blue. Step 7: Color the cane brown. Step 7: Color the face meat color. Step 8: Color the hair and beard grey and white. And kiss my Grandpa when he is through! 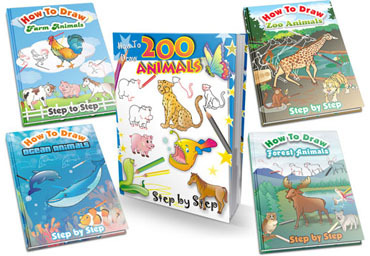 Grandpa Video Drawing Tutorial for kids!